Yes, youve read it right. You might be thinking that it is absurd to do just that. Well, a new sensor is being created by researchers from MIT to help monitor heart beat and breathing pattern from within your body, the gastrointestinal tract to be exact. 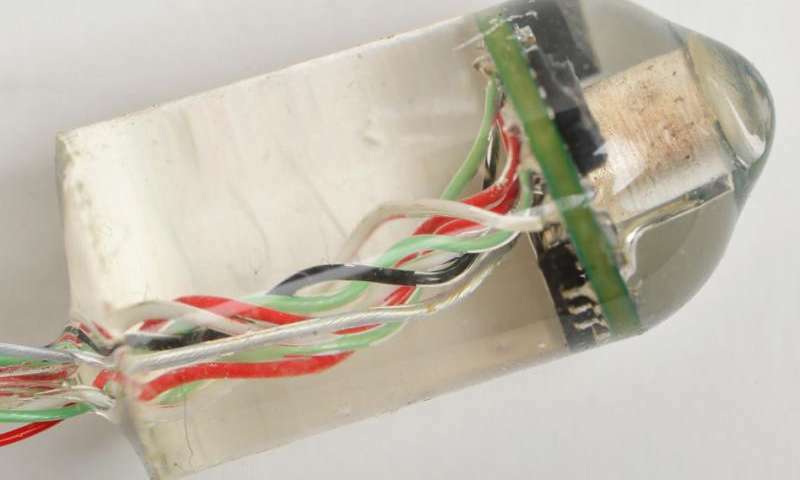 This sensor uses the sound waves produced by the beating of the heart or the lungs breathing pattern.Giovanni Traverso of MIT explained that they could measure the heart rate and respiratory rate by characterizing the acoustic waves that can be recorded in any part of the gastrointestinal tract. The researchers used a very small microphone to measure and hear the sound waves by the heart and lungs. They said that this was efficient because they can measure two different information in one sensor. The sensor is covered in silicon capsule, which has the extremely small microphone and the very small circuit that can process the sound and can wirelessly send signals that can range at a maximum of three meters, and has the size of a multivitamin pill.The sensor’s expected lifespan inside the body is up to two days and can accurately measure the heart and lung rate accurately regardless of the diet of the patient. The sensor’s focus is to monitor irregularity or diseases within inside the body without the irritating apparatus that should have been worn 24 hours a day. The researchers also want to improve their research by designing sensors that are able to diagnose heart and lung conditions.Want to know more about this awesome device? Follow this link!